On a routine trip to Sephora, I was exchanging some products that didn't work out for me. The Sephora store I went into was new to me and had an amazing selection. 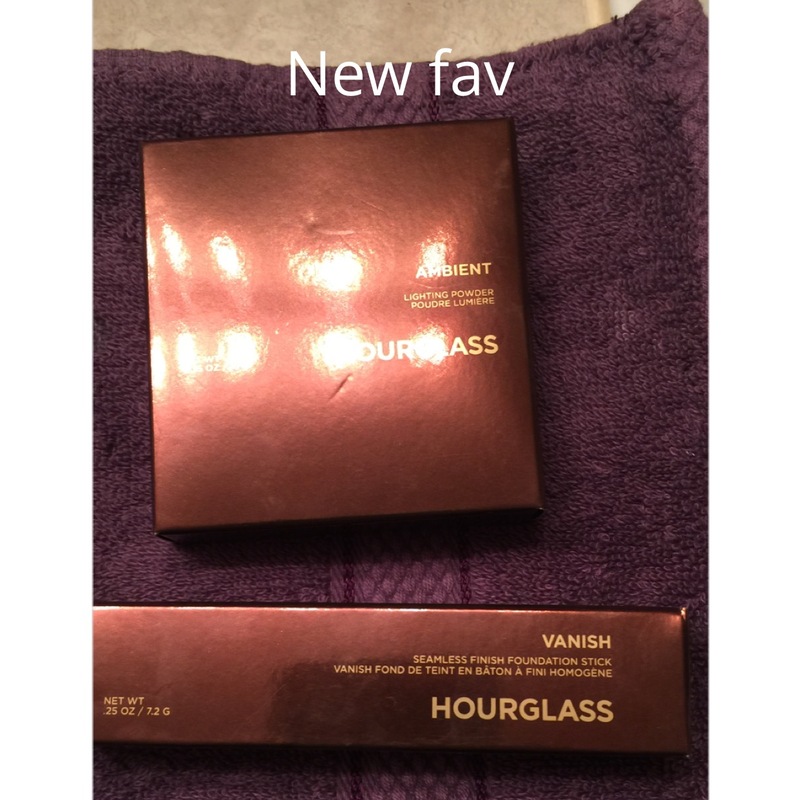 In my mind, I had an idea of a couple of products I wanted to try and Hourglass was on that list. A Sephora associate came up to me and I told him that I was looking for a really good stick foundation. He suggested two different brands, and one of them was Hourglass. It was a tad above my price point, and I had not tried any of their products before, so I was leery. Another issue that was important to me was color match. I am a light-skinned African-American woman with strong yellow undertones, and I often have difficulty finding an appropriate match. The Sephora associate assured me that he could find a great color for me. We walked over to the Hourglass section and I was initially impressed by the shade range of the Hourglass Vanish Seamless Foundation Stick - 25 shades, as well as the sleek and sophisticated packaging. He was able to match me with the color "sand" and then I asked about a powder. He suggested the Ambient Lighting Powders. I was drawn to the shade "Radiant Light" and the Sephora associate agreed that it was the appropriate choice. The next day, I wanted to try out my new products, so I performed my normal skin care routine, including a primer and applied the foundation stick. It went on incredibly smooth and when I buffed it into my skin, it just seemed to melt into my face. I was very happy with the finish as well as the medium, but buildable coverage. My skin looked so smooth and even. I dusted ambient lighting powder to set my makeup and I was really floored by the completed look. My skin looked healthy and radiant and my texture and enlarged pores seemed non-existent. The foundation wore well throughout the day, and never broke up or wore off. My skin stayed radiant, healthy, and natural looking. I have worn this foundation several more times and the results are always the same - flawlessness. I highly recommend this foundation for an individual with combination skin, that is looking for a foundation that is consistently flawless. The price point is a little high, but you definitely get what you pay for.